When someone mentions “Taiwan”, the first thing that you would mostly like think of would be its street markets! Travelling to Taiwan is a path to weight gain as you can feast on delicious street snacks every night. If you are heading to Taiwan, you can use this comprehensive Taiwan Markets Guide to help you plan your travel itinerary! The Banqiao Nanya Night Market is a local traditional market well-known for its food. Expect long food queues in front of popular food stalls selling all sorts of snacks such as sesame oil chicken, milk bottle popcorn and black meatballs. An accessible market near the MRT station, many have reviewed that it is worth the trip. Address: 220, Taiwan, New Taipei City, Banqiao District, ??????? How to get there: Take the Blue Line 5 to Fuzhong Station and leave from Exit 1. If you are visiting Tai Chung City, do take some time out of your busy schedule to visit the Feng Jia Night Market. Established in 1963, the Feng Jia Night Market, also known as Feng Jia Shopping Town, claims to be the largest market in the city. You can find lots of street snacks to feast on over there, as well as shops selling trendy items as the market is catered more for young people. It will be super crowded on weekends due to its exploding popularity so try to visit on a weekday to avoid the crowd! How to get there: Taxi / From Taipei Main Station, take an intercity bus from Q-Square Bus Staion to Chaoma Station and take a taxi from there. A little far away from the Taipei City center, the Fu Da Garden Night Market is situated near Fu Jen University and is popular for the local Taiwanese street snacks and eateries there. As it is not as popular as the other markets and a little out of the way, the Fu Da Garden Night Market is not as crowded and will be a good place for you to explore at your own leisurely pace. Prices of the food there are quite affordable as they are not influenced by tourism (yet). How to get there: Take the Orange Line to MRT Fu Jen University Station. Take Exit 1 and continue till you reach Zhong Zheng Road 514. Continue down Zhong Zheng Road 514 and look for Zhong Shan Road down the road. Cross Zhong Shan Road and turn right. A huge night market filled with restaurants, tea houses, clothing stores and even a movie theatre, the Gongguan Night market is a place not to be missed! With goods sold at reasonable prices, you can shop till you drop over there as you can find trendy items for sale. If you are the adventurous type, try out their Pig’s Blood Cake over there! Otherwise, you can also try the popular bubble milk tea drink – “??? ?” (Frog Hits Milk). It is made from dark brown sugar, tapioca and fresh milk, with no frog-related ingredients….I hope. If you are craving for some international cuisines, there are restaurants that serve other Asian styled dishes so you can explore around and check them out! How to get there: Take to Gongguan MRT Station and use exit 4. 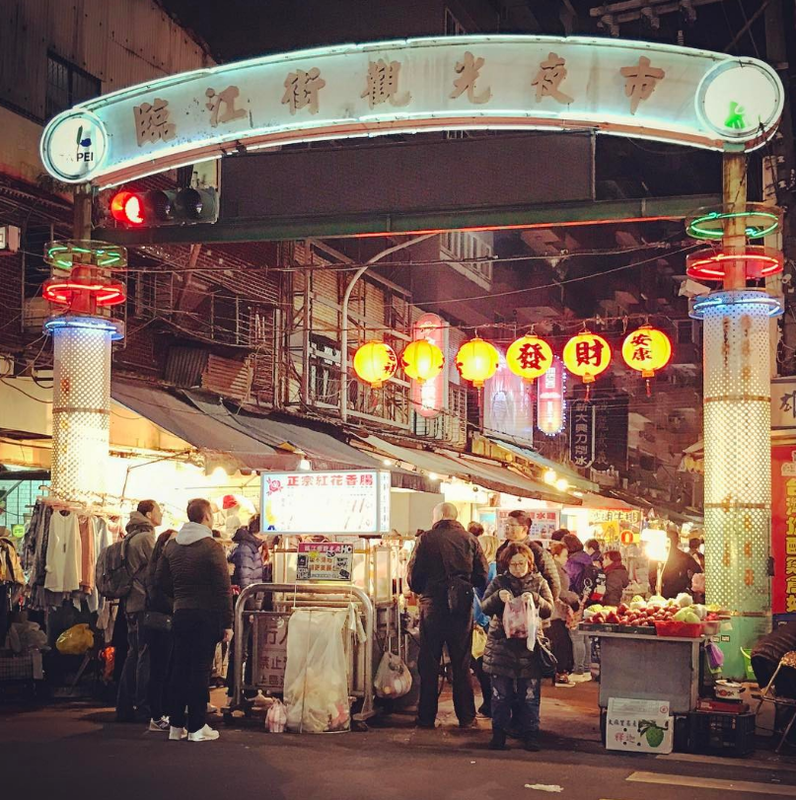 Exuding an authentic aura, the Guang Zhou Street Night Market is one of the few markets that continues to emulate the traditional authentic Taiwanese culture. For those who wish to feel and experience a local traditional market, the Guang Zhou Street Night Market is one of the places that we would recommend! Do try out the unique peanut shavings wrap with ice cream over there too! The Hualien Tungtamen Night Market is definitely not to be missed as it is situated at an old train station. It is divided into four sections, allowing you to have a full experience of culture and diversity. Other than the usual Taiwanese food, you can taste various Chinese cuisines from different parts of China and native aboriginal food too! The Hualien Ziqiang used to be Hualien’s biggest and most popular night market. However, it is now combined with other markets to form the Hualien Tungtamen Night Market (more information can be found above). Just like the other popular street markets in Taiwan, you can find local street snacks and delicacies at the Huaxi Street Night Market. But what’s special at the Huaxi Street Night Market is that it sells a variety of snake dishes! Hence, it is also the reason why it is also known as “Snake Alley”. If you have Ophidiophobia (fear of snakes), it is best if you avoid this market as there are snake performances at the market itself as well.Other than snakes, the market is also famous for its seafood so do try it out if you are not adventurous enough to try out its snake specialty dishes! Famous for its diversity of food, the Keelung Miaokou Night Market is quite accessible as it is walkable from the Keelung railway station. Do try out their fried sandwiches and shaved ice there. Seafood is also really popular at the Keelung Miaokou Night market as they are cheap and delicious so eat till your hearts content while you are there. Do be warned that it can get quite crowded during the weekends as both locals and tourists are attracted by its cheaply priced goods and delicacies. Signs of different languages are put up to guide tourists around too. Catered more for the locals, you can expect cheaper prices compared to the other tourist-packed markets. Also, the variety of food available at the Lehua Night Market is not compromised as you can try out all sorts of local Taiwanese cuisine. Leisure entertainment outlets are also available at the Lehua Night Market such as KTV (karaoke) bars. How to get there: Take the Orange Line 4 to MRT Dingxi Station. Take Exit 1, turn left onto Yonghe Road Section 1 and continue down. Relatively small compared to the other popular night markets, the Liaoning Street Night Market offers a variety of food selection for you to feast on. Seafood is quite popular there so if you are a fan of seafood, you can try it out. Select your seafood and they will barbeque and grill them on the spot! How to get there: Take the Brown Line to MRT Nanjing East Road Station and walk along Fuxing North Road. Turn right on Zhu Lun Street and continue down till you reach Liaoning Street. At the Luodong Tourist Night Market, do have a taste of their signature dishes such as shaved stuffed ice and herbal mutton soup. As it is a popular market, the Luodong Tourist Night Market can get quite crowded during the weekends as it’s packed with tourists and locals alike. After a hearty meal, you can take a stroll at the Luodong Park nearby. How to get there: Take a train to Luodong Railway Station and walk along Gong Zheng Road. Turn left into Xindong Road and the market should be straight ahead. If you hate crowds, the best time to avoid the Luzhou Night Market would be during the Chinese New Year season. With the Yong Lian Temple sitting in the middle of the market, it is common to see crowds of people heading to the temple to pray during Chinese New Year. How to get there: Take Orange Line 4 to Sanmin Senior High School MRT Station. Leave from Exit 1 and walk right to Fuxing Road. Turn left at the first intersection and continue walking down till you reach the market. Nanjichang Night Market is one of the very few markets whose culture has yet to be diluted by the tourist crowds and still retains most its original local flavour. The area used to be a military airport during the Japanese colonial period and it is located in the south of Taipei, which gave it its name “?? ?” (South Airport). This budget-friendly market becomes quite packed as you move towards the center so do not be fooled by the seemingly “lack of visitors” from the outside. The Nanshijiao Xingnan Night Market is different from the rest as the shops and restaurants there are mostly run by Burmese immigrants. Get a taste of Southeast Asian food and culture and take a break from stuffing yourself with Taiwanese street snacks. How to get there: Take the MRT Orange Line 5 to Nanshijiao Station and take exit 4. Being one of the few less commercialized markets, the Ningxia Night Market is a popular place where you can get your fill of Taiwanese snacks without burning a hole in your wallet. Rich with over 50 years of history and culture, the Ningxia Night Market draws in a large crowd every weekend. How to get there: Take the train to either Zhong Shan MRT Station or Shuang Lian MRT Station and walk from there. Popular for its goods rather than food, the Raohe Street Night Market is where you would want to go if you are more interested in shopping than eating. 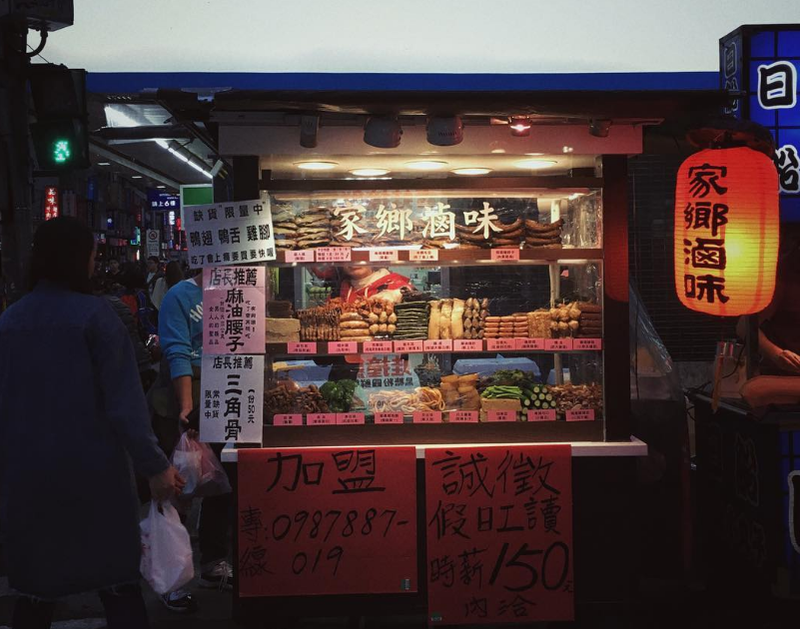 But of course, you can still have your Taiwanese street snacks fix here. Do take a look at the Ciyou Temple nearby the market as it lights up beautifully at night. How to get there: Take the West Railway Line train to Songshan Railway station and cross the overhead bridge to the market / Take the MRT Ban Nan Line to Song Shan Station and leave from Exit 5. Packed with over 500 stalls, the Rueifong Night Market has been developed to become one of the most organized markets in Taiwan. Situated near the Kaohsiung Arena Station with 2 carparks available, the Rueifong Night Market is very accessible and convenient to get to for those taking public and private transport there! Do take note that it is not open daily! How to get there: Take the MRT to Kaohsiung Arena Station and leave from Exit 1. Crowds are common here at Sanhe Night Market and walking from one end to the other will be a challenge. Extremely narrow and humid, the market is commonly reviewed to be stuffy and you may also suffocate from the lack of oxygen as a result of the lack of air circulation. Unless you are up for the challenge and wish to cross this off your checklist, we would recommend you to visit other night markets instead. Located near the National Taiwan Normal University (NTNU), the Shida Night Market is catered more for the University students studying nearby. Hence, you can find clothing and accessories that are more modern and trendy as compared to the other traditional markets. For young Millennials, the Shida Night Market is a trendy night market suitable for you! 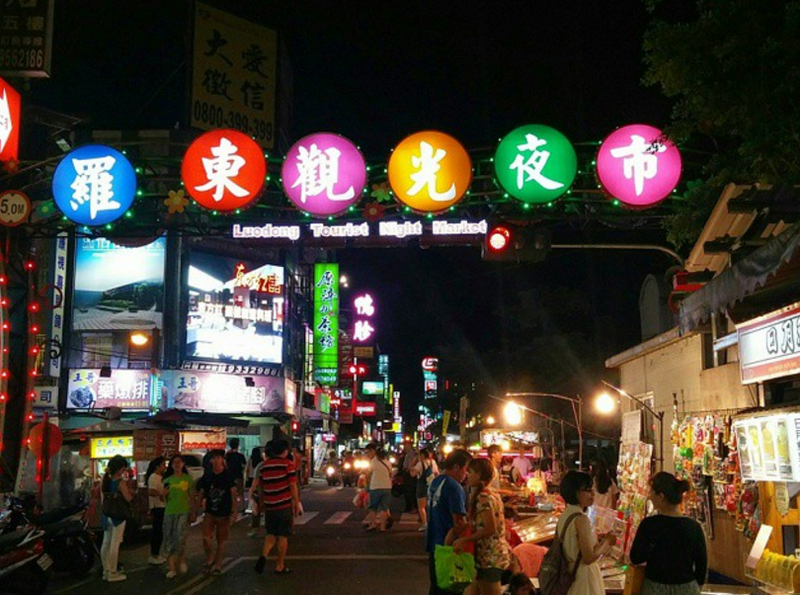 Definitely the most well-known night market in Taiwan, it is a night market you will definitely want to cross off your travel checklist when you are travelling to Taiwan! The night market will fix all your tourist needs- from shopping to eating to entertainment, the Shilin Night Market has got it all covered. So if you are looking for an authentic night market experience, the Shilin Night Market will not be what you are looking for. 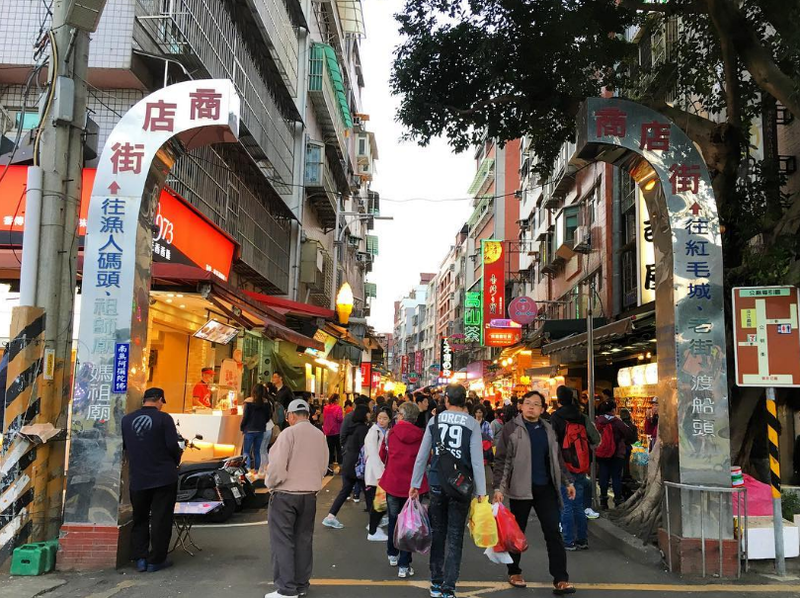 Being in operation for over 40 years, the Shuang Cheng Street Night Market is a prime filming location for many Taiwanese food and variety shows. It is a small and cozy market that mainly serves the locals there. As such, it is a low-key market where you can escape from the nightmares of over-commercialized markets. How to get there: Take the Orange Line 4 to Zhong Shan Elementary School MRT Station or Mingquan West Road MRT Station. Get ready for non-stop eating expedition when you head down to Tainan Flower Night Market. Other than grilled seafood and juicy oyster omelettes, you can also find delicacies from other parts of the world such as the Korean spicy tteokbokki at the Tainan Flower Night Market. To entertain the young ones, entertainment is also available where you can play classic old school games like darts and pinballs. And of course, there are stalls around the market to take care of your shopping needs too. Located along the Tamsui (Danshui) river, the Danshui (Tamsui) Old Street Market is a great place for you to shop, eat and explore! At the Tamsui (Danshui) Old Street Market, do remember to try out their local food specialities such as their fishballs stuffed with meat, fried tofu filled with glass noodles (??) and braised eggs. How to get there: Take the MRT Red Line 2 to the northern terminus station Tamsui (??). Exit the station and turn left, then walk along the waterfront. If you are visiting Taipei 101, you should definitely visit the Tonghua Night Market as it is the closest night market to the tourist attraction. Also known as Lin Jiang Street Night Market, this night market is one of the busiest street markets in Taipei. If you absolutely hate crowds, this is one of the night markets you may want to avoid visiting. 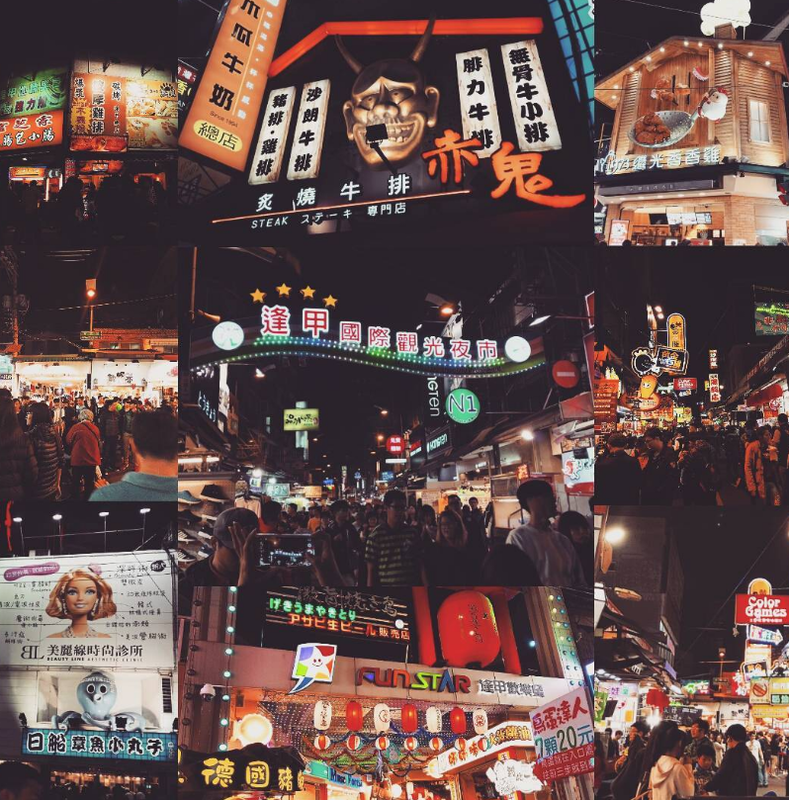 Lit with neon signs and lined with food stalls, the Tonghua Night Market fulfils all your tourist needs at one spot! How to get there: Take the MRT Brown Line 1 to Liu Zhang Li Station (??????) and walk towards Linjiang St.(???) or take the MRT Red Line 2 to the Xinyi Anhe Station, take Exit 4 and walk towards Taipei 101. Stuff yourself silly with steamed buns, chicken feet and many other awesome Taiwanese snacks at the Taichung Tung Hai Night Market. Make sure that you do not miss out on the famous Tung Hai Dongshan duck head while you’re there! Not sure if it’s because it got overshadowed by the other mainstream markets, Taichung Yizhong Night Market is hardly talked about online. Located near the Taichung First Senior High School, the market emits a hip and young culture. You can find modern fashion designs and fulfil your shopping needs. A night market for the locals, the Wenhua North Street Night Market is heavily influenced by the southern residents of Taiwan. If you are intending to visit the market, do note that its focus is mainly on food and it will not satisfy your shopping needs. However, you can have a quick visit there before heading to the Sanhe Night Market nearby. Intersecting the Guangzhou Street Night Market and located right next to the Huaxi Street Night Market, the WuZhou Street Night Market is popular for its food. Apparently one of the dishes there was a winner at a Taipei traditional cuisine festival! We shall leave it to you to find out which dish it is! How to get there: Take the MRT Blue Line 5 to Longshan Station and walk towards the temple. Turn left onto Guangzhou Street and continue down till you see Wuzhou Street intersecting Guangzhou Street. Located right next to the LongShan Temple, you can visit this night market along with the other 3 night markets (GuangZhou, WuZhou and HuaXi) on the other side of the temple! The Xichang Street Night Market is a local market popular for its herbs. You can take a quick visit there for a local night market experience. With over 300 years of history, the Xinzhuang Old street is a popular night market as it houses three temples that have been indicated as national historic sites. However, food there does not seem to be any special and they do not have any famous must-eat snacks. 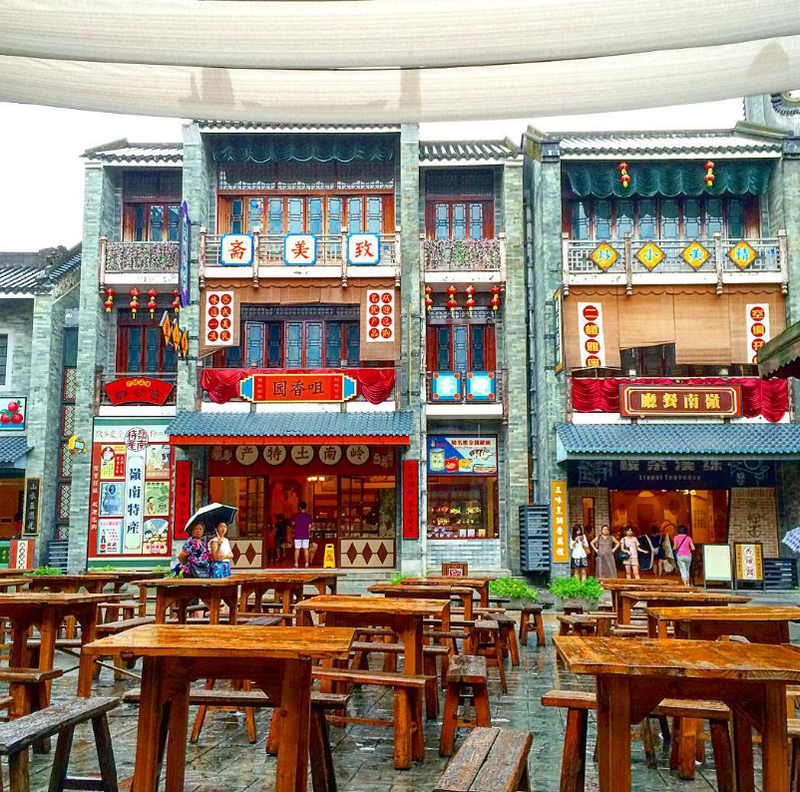 A visit to the Xinzhuang street will most likely end up as a sight-seeing trip rather than a food or shopping expedition. Address: 242, Taiwan, New Taipei City, Xinzhuang District, ??? How to get there: Take the MRT Orange Line 4 to Xinzhuang Station and take exit 2 and turn right. The Zhonghua Night Market started in the 1950s and is rich with history and traditional culture. It is a huge market and packed with traditional Taiwanese street food. What’s cool about the Zhonghua Night Market is that you can also find snake meat there! If you are adventurous, why not try this exotic delicacy? A huge night market located nearby 2 department stores, the Zhongli Tourist Night Market is just the place for you to eat and shop till you drop. Do drop by early if you want to avoid the late night crowd later on! If we have missed out on any Taiwan markets or if you have better directions to get to these markets, do let us know in the comments below! Also, there will be more travel guides coming soon so stay tuned for more! *All images belong to its credited owners unless stated otherwise.